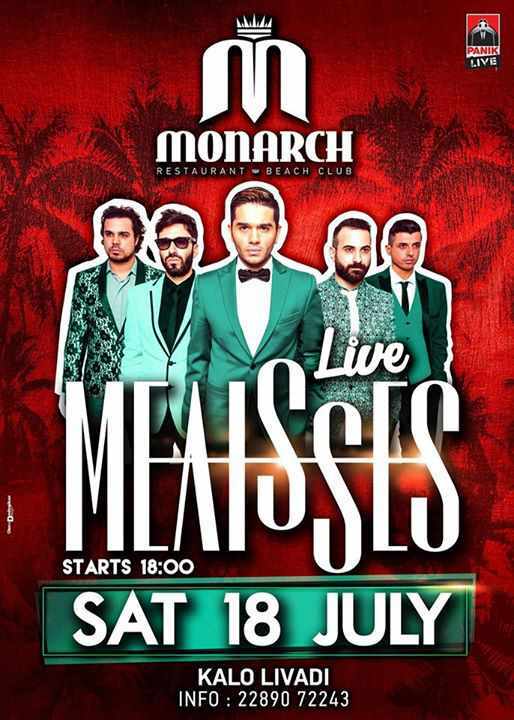 Melisses performs live at Monarch beach club on July 18! Monarch is a place created with exquisite taste only for those who can appreciate it. For those who know how to enjoy a unique dining experience prepared by one of the best international chefs awarded with Michelin star. For those who want to embark on a refreshing and delicious trip by drinking a cocktail signed by a world class Barman. For all of you who are ready to indulge in sin of a unique party in Mykonos, when the sun goes down. Monarch! Forget what you’ve seen before!